Peak 10 wanted one (1) system to handle the management of their buildings in seven (7) states no matter what the location. Andover "Continuum System" by Schneider Electric was designed, installed and continues to operate and be serviced by our CSUSA teams today. Peak 10 is the leading independent data center operator and managed service provider in the United States delivering scalable, economical and reliable solutions to their customers. With facilities in Florida, Georgia, Kentucky, North Carolina, Ohio, Tennessee and Virginia, they made the decision to explore operation to which building automation system would work best for them. They needed a system that would control, monitor, and provide historical performance data of their buildings and optimize their HVAC systems operation. As Peak 10 expanded, our "Continum System" expanded with them. 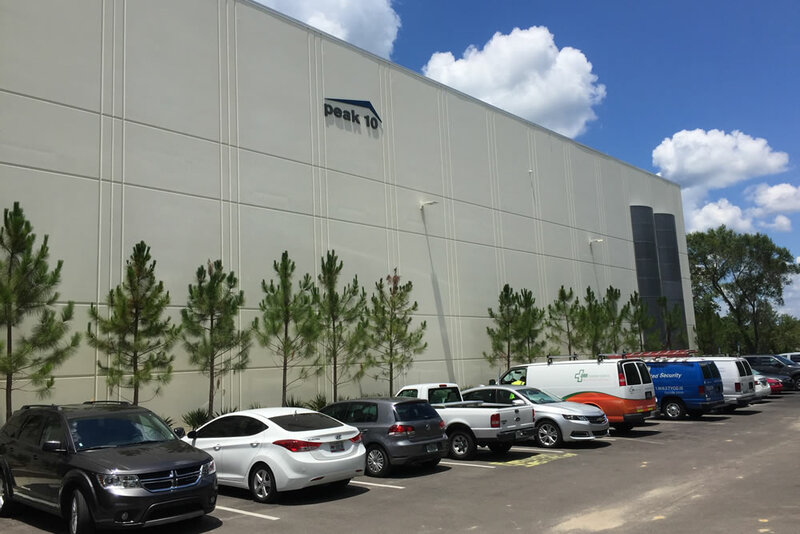 Today, CSUSA provides 24/7 on-going service and technical support for their data centers and continues to implement upgrades to the system so that the Peak 10 building automation systems are operating at 100% peak performance.